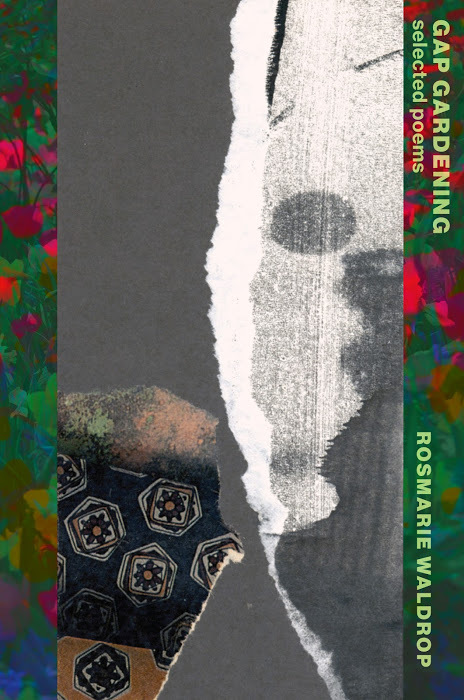 It’s difficult to overstate the excitement of a new poetry title by Providence, Rhode Island poet, editor, translator and publisher Rosmarie Waldrop, and even more for the two hundred pages-plus of her Gap Gardening: selected poems (New York NY: New Directions, 2016). 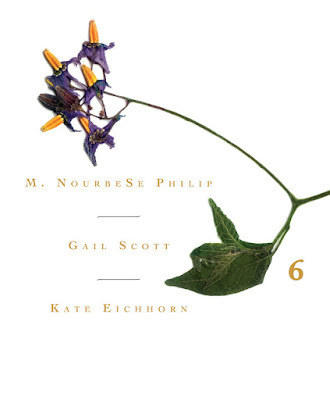 Edited by Nikolai Duffy and the author, Gap Gardening selects work from seventeen of Waldrop’s collections produced over a forty-year span: The Aggressive Ways of the Casual Stranger (1972), The Road Is Everywhere, or Stop This Body (1978), When They Have Senses (1980), Nothing Has Changed (1981), Differences for Four Hands (1984), Streets Enough to Welcome Snow (1986), The Reproduction of Profiles (1987), Lawn of Excluded Middle (1993), Reluctant Gravities (1999), Shorter American Memory (1988), Peculiar Motions (1990), A Form / Of Taking / It All (1990), A Key into the Language of America (1994), Split Infinites (1998), Blindsight (2003), Love, like Pronouns (2003), Splitting Image (2005) and Driven to Abstraction (2010). Waldrop’s poetry, predominantly shaped via the prose poem, is constructed out of incredibly dense phrases and sentences; a poetry that punches from point to point, ideas and narratives that quilt in unusual shapes and contortions. THIS TIME OF DAY, hesitation can mean tottering on the edge, just before the water breaks into the steep rush and spray of the fall. What could I do but turn with the current and get choked by my inner speed? You tried to breathe against the acceleration, waiting for the air to consent. All the while, we behaved as if this search for a pace were useful, like reaching for a plank or wearing rain coats. I was afraid we would die before we could make a statement, but you said that language presupposed meaning, which would be swallowed by the roar of the waterfall. 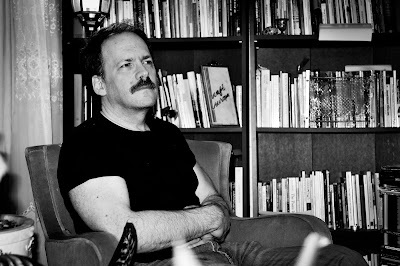 Jeff Bien is an internationally acclaimed poet whose work has been published, translated and performed in more than forty countries. He is the author of numerous books which have received critical acclaim in Canada and abroad. His newest collection, In a Time of No Song, with an introduction by A.F. Moritz was released in the fall of 2015, by Exile Editions. His work was recently celebrated by some of Canada’s foremost musicians and writers, and was be released in 2016, as both a CD and video compilation entitled, “Song in a time of No Song”. I could write an anecdotal response but it would invite an autobiographical self, of a remotely auspicious young man, and in all honesty it’s a work, as a species of literature, I'd rather not recall. What began as that book, seeking in language, a seeker that would become immolated in the sought, the consciousness that bookends a single silent letter, burning the effigy of itself, in essence the eulogy of what was the life of those early words. The query is akin to asking how does the nascency of a first love, or conversely the inaugural experience of the death of that love, change a life, but for the awakening itself. Many lifetimes later, in this life, there abides a deep nostalgia, from which the apparent and transparent nature of this journeying arises. Something of the rending of that garment is echoed in my most recent work, In a time of No Song, the same conch of that first thread of light. Poetry requites an invitation of our many selves, which invites others, as other, and in that I too give thanks, remembering its beginner’s mind, long beyond that youthful stardust falling. The initial grandeur that is apparent in the preliminary journey, in its premonition, projects myriad adventure, but its splendor lies in a greater simplicity, a far more precious task and taskmaster, as sentience, not sentimentality, and thus a rarer achievement. Its simple magic is a gift of wonder, to wonder at. It is better to let the poems speak for themselves; the silence between, above and within the word. A voice once desired, arrives, innocently, if ever at all, the poems burning effigies of themselves. It may be the mythic Babel but it shines by re-gilding the parable. A first love is itself a mystery that is spoken best in whatever form it manifests, as that mystery reveals itself. What we love, or find devotion in, has its own infinitude, imminent and manifest destiny, a prerogative of chance, the illusion that dissolves into the brick and mortar of happenstance. I don’t presume to know what invited the form, though it is unspeakable, known and unknowable, a magnitude and equanimity beyond, I believe, any sophomoric argument of aesthetic or taste. Memorable work arises in ubiquitous form. Better to let the form itself be the arbiter and/or argument of the formless. It is derivative to say that a poem is the abode of the most distilled form of language, save chant or the lamplighter of silence, of which it is both emissary and exemplar. If there is a mea culpa it would be that poetry is the silence that can be spoken, the miracle of awakening in one word, every other. This is perhaps why I came to it, or it to me, rather than fiction. Of course, there is a revisionist version, when in rare moments I remember the raconteur, he in me, both of us in the Dionysian infancy recalled. At thirteen, on a solo train trip across the Canadian prairies, in what I now know to be the proverbial mystical hour (then it was simply the middle of the night), a pretty girl named Gwen, who just hours before had told me she was an atheist, placed her foot between my thighs, unsure still whether the former birthed my spiritual quest and the latter my incendiary past. And again at fifteen, wandering the streets of Amsterdam, all night long, alone, lost in the labyrinthine cobblestone, I wandered half-unknowingly into a brothel, where a naked goddess (or so I thought then), with a cobra draped about her neck, sat on my lap and uncertain of which to be more frightened of, or prostrated to, pollinated the poet in my blood. This may be the truer poetic birthright, or rebirth, and the elliptical eternal recurrence that brought me to poetry, the true insignia as seeker becoming the sought, not simply signifying, exonerating and exonerated of the fiction of `I’, though here all journeying may, in different forms of the formless begin supernally the same. I discourage the usury of the usual infatuation with the endgame that has become so common place; the contemporaneous beacon of a bereft identity, the false understanding that literature is a project, rather than the work of one’s life. It is in this haloed middle class materialism of mind, the refracted ideation, as an ideology of notion appears, rather than the preciousness, of the fire that is immolated in the immolation of the poetry itself. And so in listening deeply, the inflections of an indigenous voice arise, polyphony of intonation, and intention, and a disinterested silence hulking about, its own ubiquity. In the absence of irony, as artifice, and conceit, the usual liminal self reflection, so ever-present in the dystopian view, abides the essential transformative and transcendental nature that is a gnosis of a poem, yet a rare bird, a flint of awakening, in both revelation and revolution. The epigram of the child that shouts the emperor has no clothes is the garment that is nakedness itself. In the moment of inception, longevity is inconsequential. A poem is like a revelation – literally, that which is revealed – the apparition of which appears in the shadow play of an ineffable moment, and enduringly moves without movement, effortlessness born of effort, into the world. I have always written longhand, ghost-woken by the phantom limb of the litmus of the word, and have been cursed and so blessed by the peripatetic and elliptical nature of its invitation. It would be better to ask instead the negative description of writer’s block, to look deeply into the blank quintessential apocalyptic white page, and see the mysterium trendum of suns, moon, stars, and the see-er, in the unseen, as scribe. Writing is not the imprimatur of journaling, not the still life of the picture show of life, but the journey itself. The notion of writing as a project has in many ways maligned the reality of life as a writer; devotion, vocation, practice, a verdict of the righteous instrument of speech. The poem writes us, its greatest encomia most deeply inscribed when refused. If one counts on the abacus, long enough, reciting thank you, there comes a supernal moment, when the beads count you. So too does the word write the one by whom it is written. As an example, in my most recent work, a book on consciousness, Songs of Non-Separation, I have distilled a hundred pages, having written several thousand. The devotion, and dedication, is spontaneously gifted, by simply staying true to the invitation that is mysteriously given. I have been fortunate as my hands and heart have always been filled with the emptiness of that work, thankfully, though I've never thought of literature as a project. Just as there is no beginning nor end, in the ascendant consciousness, so too with the written word. What is about to be, has been born already, unborn and undying, the midwife perhaps being the water-bearer of language itself. What moves the prime mover, is without movement, as in the mystical understanding of beginningless before beginning. How then can a poem find empiricism for the birth of a poem, and rationally be traced. The project has always been praise, the nag of silence and melancholy magnifying in sadness, joy. You can hear the rough drafts unfold in the heart, the endlessly rumoured shooting star, the curriculum vitae of shadows. The refusal to give up the gift is the gift itself. My last major reading/concert mirrored an overexposure of light on film, as I have led a relatively reclusive life. Yet that has not always been the case. When I was travelling more and would read or speak at universities, or larger venues, I would encourage an attitude of refuge and sanctuary. The work, fidelity and accountability to a higher self holds the higher water mark of a travelling song. Most recently, in the fall of 2015, I was honoured, and commensurately humbled, by a group of some of our finest writers and musicians who gracefully gathered together to celebrate the launch of my newest book and music, in an evening recorded and videotaped for a documentary and live CD, with the appropriate title “Song In a Time of No Song”, invoking the name of the collection. I was not able to attend, but would have enjoyed the collaborative nature, and communion of both the music, and word, though in answer to the question, the readings, have little effect or affect, on the creative process, and in general I have chosen to participate in the occasion sparsely and most usually in conjunction with musicians, in concert with reading, speaking, and without the usual trilogy of poets. To be a poet is to be a scribe of a beautiful illusion, a skiff of thought song joy-breaking the clipped wing of the secret language, the rivers of silence beneath that word in which every other appears, the mythic rainbow that is re-gilded in the least among us, the opus mundi of starlight itself; to say thank you to whatever invitation is gifted, the ordinary occasion of grace, the Braille of a lover’s touch that gifts a divine glance. All poetry is departure -- seeking an essential self, the logos of language. A poem is the embodiment of message and messenger, best when the two become one, the riddle that is the answer without a question, the mind no longer in diaspora from the heart. It arises from emptiness in the realms of form, contoured by the earthly colours brought into the alchemical witness of presence. When the poet disappears into the poem, the intangible and tangible find innate union, the theoretical becomes an argument of the ad hominem itself. I am less interested in the theoretical, discursive or didactic chat on poetry, than the truer witness of the word writing itself. It is this kind of market square bartering, where scholars horse trade silences, that the song is lost in the empiricism of mind. Examples of this abound, eternally recurrent, in every art form and are ubiquitous in all realms, as a caveat to the consciousness of both aesthetic and ascetic, not beauty in the eye of the beholder, but the beholder awakened in the eye of beauty. I find much of contemporaneous poetry, in its reductionism, the dialectic of deconstructed architecture, the contagion of colloquial construct, the all too predictable litany of the last lines of irony, that even when they are well written lean into the vernacular, slipping too easily into the omnipresent gratuitous corner stamp conversation, and lower the water mark that is the luster and logos of language. Of course I understand what it is attempting, as in all poetic. Some of it magnificently succeeds. Yet it seems more often a casus belli, for stripping language from the garland of language, rather than magical and mystical silence which all poetry most deftly belies. Its omnipresence eclipses, temporally I believe, the music, and the breath and breadth of language, that can both communicate and find communion, in another’s heart, (dare I say, even, truth, not as ideation, but as reality). Of course in every poetic, form there is contiguous reply, even as it is evolves, of the voiceless that each can hear in the conch of posterity that canonizes posthumously the mantle that creates the creator, of that canon. It is a dialectically discursive discourse. I too have earlier work, where I am shouting epithets and silence from the rooftops. You wouldn’t know it was authored by, the same scribe, in the ellipsis of autobiographical self. Poetry would not be poetry were these kinds of descriptions not subtle and sublime, a wand waving over a wand. Thankfully they are no paradigms, algorithms, scriptural or doctrinal blueprints, and so all forms of poetry arise and rise, each in their own seed and season. The questions are what they have always been, the imprimatur of the eternities, imminent and manifest, simply in the matter and form of the contemporaneous. There is in each form, to plagiarize an old bard, plenty of room at the top. It is the common mood to equivocate upon taste to suit the most present incarnation of the approbation and propriety that have become the currency of the conceit of the apparent creative freedom, canon as creed. (This, as curator of a more substantial audience, remains an assignation, a blind security, the blood sport of charming contradictions). This lack of lacking a truer absence, takes guise as presence, having fallen prey to the semiotic conceit of a hegemonic selfhood which conflates no narrative and narrator, forsaking the fiction as a meritorious metafiction as by forsaking that which is neither, narrator nor narrative, proudly coronating the fragment for the whole. The intention of the work is contingent upon the attention, antiquity as modernity, antiquated as avant-garde, for the latter births the former. This is as true for the text as for the reader, in the duality of all subject and object relationship. Art may imitate life, the ellipsis of art imitating life imitating art, and the best of it, distills what cannot be said, wondrously, in the language of disinterested silence, and more alchemically, to bestill silence itself. If it is true a picture can be worth a thousand words, then it is yet more true that one word may speak a thousand pictures. As in the picture show of Plato’s Republic where poets are perennially banished, its utter insignificance is its significance; an interlocutor of the numina. Equally it is sacred vocation in its ability to speak the silence of the social contract, (shouting silence from the rooftops) the poetic of the omnibus of virtue or moral imperative and is a sentinel of speech in the realpolitik of self. The poet has always been a heretic in the pursuit of essence, freedom over knowledge. Though no longer largely in vogue, poetry yet remains the vanguard of the prophetic, visionary or romantic, the milk and honey of the promised land. circling dry wells. To be a scribe is to witness and be witness of witness, of whatever invitation is gifted, the sacred circle, that circles dry wells, filled with the emptiness of the ordinary occasion of grace, the splendour of brokenness as unbroken. The world is large enough, for the smallest of voices, and small enough for the largest of voices, to emerge and merge, the mirage as oasis, the miracle of awakening in one word. The divine irony -- perhaps the only irony worth speaking of in this culture – is that work must be known through the work itself; to wake Lazarus from the grave, to give life to death, not merely to provoke, or to outrage, but to pre-emptively awake. In the epigram of literature, “it is best to show not tell”, lies a simple yet profound truth, though rarely telling can be showing. To invite the darkness in its negative description, the illusion shines light. As I’ve said in the title poem of a forthcoming collection, The Poet Sings, `literature is hope that is earned’. Rarely, over the years, have I had another eye, arrogating upon the work of the ‘I’. Though, I have always been open to criticism when it is earned, and well intended, rather than the serendipity of the retributive, apologetic, or simply whimsical, I have rarely worked with editors, and even those few have dwindled, though more recently, a few trusted pairs of eyes, and hearts, have gifted a deepened glance, to polish the stone. In both, the grandiosity of the curiosity is put to rest when the seeker becomes the sought, in that sublime silence. In its former incarnation as an arts channel `Bravo’, in the not so distant past, asked me this same question, as did Emile Martel in Paris years ago, as well as many other interlocutors and intermediaries of various media. The cognitive answer cannot but defeat itself. Seen with a different eye they are the same, seen with the same eye they may be different. Songs I think are more like a postcard from above, perhaps a belated letter in a bottle, to whomever finds it washed up on a shore… maps to maps. Cut the tether of sail and kite strings, and they are each other, song as poem as song… sea, ship and sailor without the shore. Poetry is the perennial solitary endeavour. It does not afford the collaborative joy that music so often gifts. All the hyphenated genres, and the purist traditions, classical to blues to African, are in essence, some way, poetry by their very nature, as are the song of the Bhagavad Gita, the song of Shams and Shamans, in the fire as the fire, the song of the Tao Te Ching, and the Song of Songs. They are all poem song, gifting the extasis that is the divine heart of silence requiting the silence of the divine heart. The heartbeat of metre and movement, breath and stride: rhythm conjugating the music that is conjugal in the union. I have been nocturnal, and have had a deep meditative practice. When the veils are lifted, the day has no beginning or end, as with creator as creation, itself, the ellipsis of the hour hand, chasing the minute hand, chasing the second hand. To live awake in a moment, is enough, to know the changelessness and change in each moment, the sacred thread, of the supernal, the celestial and quantum, the snowflake and fingerprint, in their difference, the same. I write every day, and have always been prostrate to that fidelity: from hospitals, lovers beds, incendiary street corners, and now a deeper refuge, the sanctuary of the higher (not hierarchal) self, where there is no distance or time, but only to live moment by moment. Though it is true everything has already been written, it is commensurately true that in the un-writing of it, it is forever born. I haven’t ever had that affliction, if anything the antithesis, inflicted by the inverse – spontaneous and calm urgency both prolific and prescient. What is truly inspired, cannot be expired, but for the immemorial mnemonic, the eternal recurrence of eternality. There are hills of stars, far and near enough away, arrowheads flaming the passion that kindles compassion. Both shine like the moon and sun, shadows of the proverbial candle that shadow light the universe. There seems to be much talk -- talking heads of talking points, talking of writer’s block as it were some kind of endemic pandemic, the vagrancy of a mime or mimicry of writer’s block, as if it were itself the volition of hypochondria, wilfully self imposed. First and foremost, the fragrance of our own heart, in the absence of duality, and separation, most eminently in our own essential nature, the fragrance of awakedness and love – non-separation, the house becoming a home, a pilgrimage wherever two stranger meet. As an epigram, it sounds profound, or at least instructive, at first glance, in its rudimentary understanding that a writer must read, in order to write. The ellipsis of the song becoming the singer, the dancer singing, the singer painting, the poet a painter of words, each unveiled, as other, in the confluence of all consciousness. From this multiplicity of singularity, the plurality of Oneness is borne. If you realize this in its truest incarnation, then books arise out of the proverbial book of life. This does not mean that we are absolved of the requisite apprenticeship. The former ends where the latter begins. I have some five thousand books, but the most important, is the one that cannot be written. Sometimes it is good to forget all that we have learned, a philanthropic understanding, that births the most lasting work of all, forever present. In its idiosyncratic, and synchronistic union there is no separation between the exterior and interior. The work of life, is the life of the work, however trumped up and as much of a contortionist greeting card this may sound like. It is a truism that work is its own best encomia, and a euphemism that in the many lives in this one, could name that namelessness. All of the canon, is forever being reconfigured, triangulated, constructed, deconstructed, reconstructed. All of literature is yet in mind, the best of it at the end of mind, where the heart and so divine imagination begins. Art imitates life as life imitates art, and so to outrage the mind, is enrage the heart, by engaging their apriori union. I drove seven hundred miles in the night to Casablanca for a Gauloises cigarette, (though I didn’t smoke), when I was in my early twenties, only to see a stone grinder whose face mirrors still, the difference between adventure and the deeper travelling inside. I have experienced, both, an incendiary and ecstatic journey, lovers and the beloved, commensurate with deep sacrifice and austerity, borne of a deep attrition with health that has radically transformed both the work, and the consciousness that informs it. Nothing is left undone in the quintessential sacred circle, the prosperity that is poverty and the poverty of prosperity, the privilege of birth right and right of birth, the mystical revelation that we are already on both sides of the battle, and of the river, and so of the word. The verdant nature of self, is itself the verdict, and the chattel of that knowledge is the aperture of our essential freedom. Only in mind, is writing different than any other activity or vocation, though the supernal irony, is in that very divine imagination, and departure, lies its own dharma, forever polishing the same stone. If I could answer that question, you wouldn’t be asking it of me, for I would be doing that very something else. But for the sake of the straw man, I could say a revolutionary, from the loci of this moment, were I to have been borne in a different locus, and gifted a different spiritus. Perhaps it is a projection, but for the bibliography of the bloodline, that encouraged the word as an abode. The Gita, Wilde’s De Profundis, Kazantzakis’ The Saviors of God, excerpts from The Book of Splendour, and the commensurate splendour of far too many books to be rendered here. I can’t recall a great film, as with Yogananda, finding myself watching the light that blooms on the screen. That celestial aurora is the closest I understand now to a great film, though I recognize the worth and sacrifice of the form, in its higher water mark, imaginatively as a visual diary, documentary etc. I am just now completing a new book, Songs of Non-Separation, culled from a clutch of many thousands of pages, (most illegible), a life’s work on consciousness teachings, which includes chapters, which I call songs, on everything from philosophy to geopolitics, meditation and the breath of the mystical traditions, a talk on Love and lovers, atheism as theism, quantum physics (observer as observed) etc. I am also completing two new poetry collections A Koan of Love and a collection of prose poems, The Poet Sings. 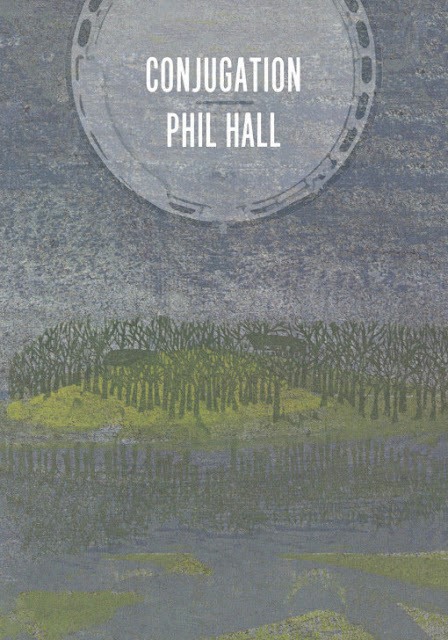 Perth, Ontario poet Phil Hall’s latest collection is Conjugation (Toronto ON: BookThug, 2016), a complex, engaged and expansive collection that continues his meditative explorations into the lyric fragment, collage, poetics and the deep self. 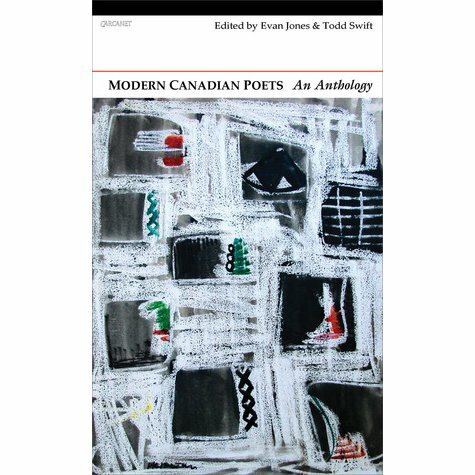 “Conjugation,” according to one online source, is “the modification of a verb from its basic form,” and Hall’s poetry manages a deep and serious play in the way words are constructed, pulling apart the mechanics of language and how it interacts with ideas (a play that has, it would appear, deeply influenced the work of Ottawa poet Pearl Pirie). As he writes: “but there’s a fee / a fee that sees & hears wonky // fe-ces we’re were subtler/fugues etc [. ]” Similar to Dennis Cooley, Hall engages the mis-heard word, the mis-step, and runs with it, managing to make connections where there otherwise might not have been. Over the past few poetry collections, Hall has shifted from his more overt engagements with Ontario gothic/rural, including his own childhood and history of abuse, to a more overt engagement of multiples—poetics, “the prison of metaphor,” pulling apart the minutae of language, personal history, direct observations and his immediate environment (including the Ontario wilds of his Perth homestead)—each holding similar weight throughout, woven together as a precise, dense and thorough series of ongoing threads. Constructed out of an opening poem, seven suite-sections and a coda, the short poem-fragments in Conjugation follow a similar tone and structure set in a number of Hall’s poetry collections (a recent example being the “selected poem” published by WLU Press; see my essay on ‘editing’ the selected here), and, as with much of his work, the poems within could be presented in a variety of orders. It becomes curious how an order built so carefully, with such precision, is also constructed to be opened at any page, and read in either direction. His poems are less narratives than a series of accumulations, and the order in which you interact with them might even bring you to an entirely different conclusion.